I can’t believe I haven’t written this post sooner. I get asked this constantly. And I’ve heard a hundred different ways to pronounce it! Balayage is a french word meaning to sweep or to paint. Simply put, it is a technique not an effect. The resulting effect from this technique is dramatically different than traditional foil highlights. Balayage creates a sun-kissed natural looking hair color with softer, less noticeable regrowth lines. The main idea being less is more. This picture shows the technique and the effect. Notice how the highlight has a soft line so as it grows it will look better and better. The before picture…looks like a DIY ombre! Here is a beautiful example of Balayage technique used to achieve an ombre. Now let me show you the difference between ombre, sombre, color melt. Each style has a different effect but all are done with balayage technique. The ombre transitions from dark to light and is pretty dramatic. The sombre of “soft ombre” has a dark to light gradient but much more subtle. Color melting melts together two colors using balayage technique. Balayage is an advanced skill, so make sure if you choose to go this route that your stylist knows what they’re doing. This can go horribly wrong if the stylist isn’t familiar with creating a soft transition or if they aren’t educated on sectioning techniques. Most importantly they need to understand toning. What’s toning you say?! Well that’s a topic for a whole new blog post. Stay tuned for the answer to that. Post your questions in the comments below. What’s your favorite look? 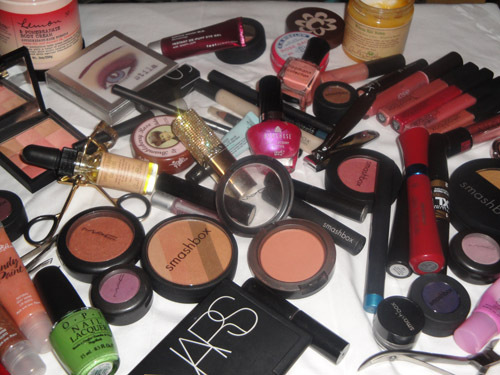 I fell of the face of my blog. I apologize. So many of you have written to encourage me to write more. I truly appreciate it. So here I am. I’ve had a crazy 2014 and I will write about it when I’m ready. For now I want to shower you with hair tips. I am going to try to post one each day. But forgive me if I don’t. I have plenty of things that distract me from what I should be doing! 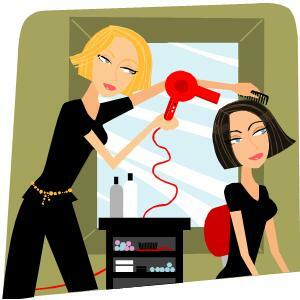 Here we go with my first hair tip…. 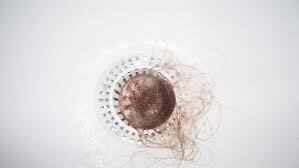 Prevent clogging up your drain by brushing your hair before you get in the shower. My husband says it makes his teeth itch when he sees the baby Sasquatch that is left behind after I shampoo my hair. He has a HUGE problem with hair that is not attached to a head. Ironic since I’m a hairstylist and have random people’s hair collecting in my bra and shoes. I also get hair splinters! You’ll lose about a 100 strands a day, normally. Maybe more if you tie your hair up constantly. Not only from breakage, but it accumulates in there especially if you aren’t thoroughly brushing your hair each day or letting your hair down from time to time. A great brush to use is a boar bristle brush. It smooths down the hair cuticle and leaves hair shiny and healthy. Don’t go nuts though, too much brushing isn’t good either. I typically always use a boar bristle brush for my blow outs. These type of brushes also feel amazing on the scalp and stimulate blood flow which helps with growth. It makes a huge difference in the appearance of the hair. 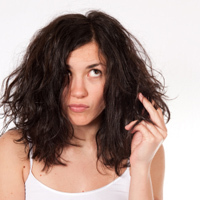 I also need to mention…don’t brush your hair when it’s wet. Detangle with a wide tooth comb, but don’t attack it with a paddle brush. Give this tip a try and let me know how it goes for you!